Our family has recently been given the opportunity to review a brand new writing program called Writers in Residence from Apologia Educational Ministries. We’ve had the opportunity to experience a variety of writing programs over the years and we’ve loved various elements of pretty much all of them. However, teaching writing to children seems to be one of the most challenging aspects of homeschooling. I am grateful for the opportunity to present a new program to you. Perhaps it is the perfect fit for your family. Writers in Residence is a program for 4th-8th graders that uses examples from wonderful high-quality literature as a model for children. Sprinkled throughout the pages of the large, spiral-bound student text and workbook combination you will find interviews of Christian authors that your family is likely already familiar with. This program tackles grammar along with the writing. In the first volume of the program you will find six different units. These units cover writing short stories, narratives, opinion pieces, autobiographies and more. I am impressed by the wide variety of writing presented here. It seems other programs cover creative writing and nonfiction reports and not much else. Within the units the children refer to examples of writing from experts, the learn vocabulary, they use graphic organizers, and they refer to student samples as well. Each unit is broken down into something called a module. Modules are much like chapters. Debra Bell, the creator of this program, has laid out a fabulous day by day lesson plan. Her plans break the program down into four lessons per week for 32 weeks. Her plan generally has children taking two days to complete a module. This program is generally based on the Six Traits Writing Model which is a program developed in the late 70’s and early 80’s based on research done by with writing teachers and college professors. They discovered 6 distinct traits that are used to teach and assess student writing. There is a rubric for parents to use to evaluate final drafts of writing. Can I tell you how much I LOVE that! It just takes the guess work out and gives my child and I something objective to measure the writing by. Also included is an answer key which is much smaller than the large student text. It provides the answers (or give samples of) all of the student text assignment. Here you will find the rubric and an explanation for its use that will help you evaluate your child’s writing. I’ve been using this program with my oldest son Noah who is 10. Before we began the program he read a letter from the author of the program, Debra Bell, that is located in the front of the big Student Text/Workbook. I think this letter gave him a new appreciation for the reason we need to learn to write. In the letter Debra writes about how language is a gift from God and we need to learn to use those gifts to glorify Him. She says it helps us demonstrate our creativity which reflects God’s creativity. She also includes her own email address so students can write to her, send her questions, or even their own writing. What a person touch this letter is. My Noah loves to write… in his own way. Long, drawn out, imaginative stores with no punctuation, grammar, spelling, beginning, middle, or end! Reining him in to write in a way that is interesting to the reader is a challenge. He just doesn’t like to be told how to write! However, the lessons in this program are relatively short. We were usually done in just 30 minutes a day. The schedule is useful not only for my own planning purposes but it also helps my son see ahead of time exactly what is expected of him. The four day a week schedule is amazing as we usually have at least one day per week that sends us away from our “at home schoolwork” as I call it. The lessons are fun, light hearted, and easy. Now when I say easy I don’t mean easy as in… this has no value. I mean easy as in… what we are learning is so clearly demonstrated that the assignment comes with ease. The lessons also vary quite a bit day to day. We’ve used other programs with something of a daily formula. While I appreciate consistency sometimes my kids find it… BORING. This program is not boring. My son looks forward to seeing what new thing he’ll do that day. This program is full of amazing writing samples, research activities, kinesthetic exercises and more. One of the most amazing things about this program is that it includes language arts lessons right within the pages. For example, on of the first exercises has children writing about a favorite memory. As the lessons move on they refer back to this first piece of writing to make changes as they learn about weak and vigorous verbs, nouns (common, proper), etc. By the time these lessons were applied the first writing my son had created quite the polished, and focused piece of writing. We were all quite proud. My only criticism about this program is that the student text is HUGE! This has some pros. Everything is located in one place which is awesome. I have too many curriculums that make us switch from this to that book and back again. Plus this thing certainly isn’t going to get lost. However, it takes up a hunk of space in the drawer and when we take school on the road it is usually left behind since no one wants it weighing them down in their backpack. Plus, if I want to use this program with more than one child I’ve got to buy THE ENTIRE thing again which is pricey. Most other programs allow you to purchase just the consumable portion. No such option exists with this program. My son and I love this program. This will be our writing program for the next year. Apologia Educational Ministries says they will be releasing more volumes of this program as time goes on. We are very much looking forward to that. Writing! What a tricky topic for homeschoolers. How do you teach your children to be good writers? It feels so daunting, especially because for whatever reason so many children are reluctant to learn and sometimes down right defiant when you try to teach them. I’ve been blessed to review more than a handful of writing programs. Our latest writing review is a product called Here to Help Learning. Here to Help Learning was developed to help homeschool parents and co-op teachers of elementary aged children learn to write well in a fun, easy, and engaging manner. The program is separated into two different tracks. There is paragraph writing for kids in 1st to 3rd grade and children in 4th to 6th grade work on essay writing. The tracks are broken down in something called “Flights.” One Flight takes a year to complete and each Flight contains 6 assignments. The younger children will write 6 paragraphs and the older children will write 6 essays except in the final Flight when they write an entire book! Children can enter the program at whatever level suits them. It is possible to begin the program at the paragraph level but at Flight 2 for example. I used this program with both of my boys who are 8 and 10 years old. When we began I placed them right at the very beginning with Flight 1 paragraph writing. I wanted all of us to get a good handle on the terms and language used in the program. I’m also of the firm belief that reviewing what you know is always a good thing. Here to Help Learning is an online program. Each day that you complete a lesson your child will log on and watch video lessons as they complete the activities. The program is generally designed to be done in just two days a week with one lesson stretching over both days. During the Pre-Flight checklist our teacher Ms. Mora is dressed as a flight attendant and she stands inside of an airplane. Just as a flight attendant does before a plane takes off she walks her passengers (your children) through a series of steps to make sure they have all of the materials they will need to complete the lesson. This airplane theme follows throughout the lesson complete with a lovable doggy pilot. The theme is fun. The graphics used to create the visuals are fantastic. The whole idea certainly keeps my children’s attention. The Flight Check-In video has children “handing in” previous work (great for co-ops) and getting their notebooks ready for the next step in the lesson. This is also the point where Ms. Mora reviews the Bible memory verse for the lesson. Games and fun activities are sprinkled throughout the learning making things engaging, not too serious, and adding that element of fun. At the lowest levels the actual physical writing for children is generally pretty limited to just a few words and perhaps a sentence or two. Of course over time things build up. However parents are welcome to have their children dictate what to write if necessary. This really is a great program for the reluctant writer or the child who is really just embarking on learning to write. Since I started my children at a much lower level than was necessary they were able to complete an entire lesson in just a short time in one sitting. I had them work through Flight 1 paragraph writing until they have finished 1 writing assignment. Then we moved on to Flight 2 paragraph writing. The videos are engaging and fun! Ms. Mora keeps the children on task and well organized. Each lesson is very well broken down and children grasp the new concepts easily. When sticking to the recommended schedule this program is gentle in its approach and takes just a few minutes out of the day. Over I really rate this program pretty highly. It is fun! The children learn important writing concepts. Everything is well laid out and easy on mom the teacher. As a homeschool family how exactly do you go about teaching a child to write well? How do you encourage them to write creative essays or research essays? It’s a tough task. Many children, my own included at times, look at sitting down to write something structured the same way a cat looks at a bath tub full of water! A blank page can be very daunting. We have tried various programs over the years but I think we’ve hit the gold mine! My family recently had the opportunity to review the Deluxe Combo Teacher/Student Writing Package Level A with Fix It Grammar 1 & 2 plus A Word Write Now and Portable Walls by Institute for Excellence in Writing (IEW) and I’m excited to tell you all about it! This extensive program is perfect for 3rd-5th graders. Before I begin this review I have to share with you a little of my IEW story. Last year I was looking for a program to teach my oldest son writing. He was going to be turning 8 soon and I was contemplating his 3rd grade year. We had tried other programs and I actually liked a lot of them but they didn’t seem to take it far enough. They were lacking in this way or that. I kept hearing about IEW and I was intrigued. I researched online but I was intimidated. The price is quite a bit higher than some programs and honestly… with all of the abbreviations and options I was left confused. I visited their booth at the homeschool convention determined that I’d figure this out and decide if it was worth it. Instead I became over whelmed. Yes I had a mini mommy meltdown in the IEW book. My husband standing by my side was dumbfounded. He thought I’d lost my mind. Yes, his wife who holds a Master’s Degree in education and has taken many a writing course, and taught many children to write… was loosing her mind over a writing program. Really I was just frozen in fear, I didn’t want to waste more money on something else that I didn’t really like and there was so much there that I couldn’t decide for if it’d really work. I didn’t buy the full program that day. I bought just one little piece. Then I went home and called up my friend and roped her into helping me figure this out. She laughed at me. Insisted it wasn’t as hard as I was making it out to be. She let me barrow some of her materials and we dabbled in the IEW way. When this program came up for review this year I finally had the confidence to jump in with two feet and learn the ropes the right way. Here is my review. IEW is well known on the homeschool scene. They already have a reputation for excellent products. In fact Andrew Pudewa, the director of IEW, was the keynote speaker this year at the big homeschool convention I attend. I sat in on every talk he gave. This program and his workshops have reshaped our homeschool. The Deluxe Combo Teacher/Student Writing Package Level A with Fix It Grammar 1 & 2 comes with many pieces. First, for the teacher, is the latest addition of Teaching Writing: Structure and Style Teacher Seminar which includes hours of DVDs and a corresponding workbook. Also included in the Student Writing Intensive Level A with a notebook and lesson plans included. Fix It! Grammer: The Nose Tree, and Fix It! Grammar Robin Hood are amazing and simple grammar programs. The last two components include A Word Write Now, and the Portable Walls. Let’s look at each of these pieces separately. I received the brand new second addition of this seminar. Hot off of the presses. The DVD’s came in a fancy faux leather case. The workbook is in a snazzy binder. Yes it is well presented but it is certainly what is on the inside that matters. This program, for parents, teaches YOU exactly how to teach the IEW system. To say it is in-depth is an understatement. Here you learn now only the how-to’s but the whys. You gain the big-picture so you can see where the program is taking you. In this package you will find 12 DVDs, a workbook that is more than 200 pages long, bonus backline masters, packets of writing sources, 30 audio sessions with Andrew Pudewa, additional online videos, and monthly training webinars too. It is all taught by Andrew Pudewa. I told you I heard him speak live! This seminar and all of the added content are a literal gold mine. In the seminar Andrew Pudewa walks you through teaching the 9 units that your children will complete when they use IEW. He shows you how to teach the stylistic techniques introduced in the program. He gives you hands on practice in using the system yourself. You’ll see classroom session of how this all plays out with different age groups. There is so much to this seminar alone that it really deserves its own full review. 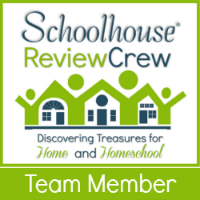 I often see moms ask about IEW in various homeschool community Facebook groups or chat boards. Often they decide to skip purchasing this seminar to save on the costs. DO NOT DO IT! If you skip this program you’ll have lost out on a golden opportunity to bring their understanding for a surface level to deep knowledge. Likely as a teacher/parent you’ll find yourself stressed trying to really understand the how’s and the why’s of the program and where exactly it is going. In these DVD’s Andrew Pudewa not only teaches you how to teach writing. He also teaches you how to be a better teacher. He gives you tips for keeping children engaged. He reminds you to focus on what really matters instead of what doesn’t and thereby sabotaging your own efforts when the kids get frustrated. He helps you help your child be successful so that the whole writing experiencing (and over all homeschooling experience) is just simply enjoyable for everyone! If you can, sit down and watch all of the seminar videos before you begin the program. That’s really the most optimal way to go about things. I will admit I didn’t. I just didn’t have the time. So I watched as much as I could as often as I could until I was finished while still beginning to teach my boys. After the seminar you could create your very own writing class for your children. It’s that good. However, if you are like me and don’t feel the need to reinvent the wheel then you will certainly want Student Writing Intensive Level A. This is a 30 week writing course for the 3rd-5th grader. I an using this with my two boys who are 9 and 7 years old. It fits the two of them PERFECTLY! This course consists of lessons on DVD taught by Andrew Pudewa for the children. There is a binder with all of the lesson plans and tabs for organization too. IEW is amazing in that they allow you to photocopy whatever you’d like including all of the student pages for use with the children in your home. Or you can purchase another binder complete with all of the contents for your additional children. That’s what I did. It just saved me time, energy, and printer ink. Each week you have a video teaching segment on the DVD for the children to watch. This is followed up by a variety of practice activities and assignments that reinforce the skills they just learned. There is a guide to for you to help you break up all of the work daily into 30 full weeks. There is a lot of flexibility here to move the program at your speed. I tend to let my children work until they are “done,” as in they’ve had enough. Most days this equaled exactly how the schedule is laid out. Sometimes we did more than recommended. It’s also pretty simple to add-in or substitute additional assignments for extra practice or to tie into the rest of your studies. After a couple of months of using this program I’ve noticed something remarkable. My older son tends to be very verbose and will give you WAY TOO MANY details. His writing was very meandering and it was tricky to figure out what his point was and where he was headed. My other son is the complete opposite! He’ll give you three words and call it a story! After lots of practice in this programming and learning how to create and write from keyword outlines, how to use dress-ups and other stylistic techniques my older son’s writing is coming together into something that makes sense and is understandable while my younger son’s writing has expanded and is becoming more meaningful and detailed. The boys LOVE this program. They look forward to the work. The lessons are broken down so beautifully that they find the learning to be easy. They enjoy Andrew Pudewa and his teaching style. They laugh at his corny jokes and yell out answers at the TV. With this package we received two years of Fix It! Grammar. In this case we received the spiral bound teacher’s edition and the student workbooks as downloadable PDFs. This grammar program is divided up into 33 weeks. Children work at the lessons 4 days per week. My family was tremendously blessed to have received this program to review in the past so I’ll link you here to that review. In short though I will say this…this program, like all of the IEW products we have had the chance to use, is fantastic. Sweet and simple as they say! And quite effective. After 8 months my children are better at identifying all of the parts of speech than I’ll ever be. Within the IEW system you begin to learn all about banned words, strong verbs, -ly adverbs and other words that Andrew Pudewa refers to as Dress Ups. These words make your writing more interesting and exciting. They attract the reader and pull them in. A Word Write Now is sort of like a thesaurus and the intent is help the student easily find excellent words. Words are arranged by theme. The themes include: Character Traits (words that describe what a person is like or how the feel), Words to Describe (words that tell you what something looks like for example), and Words for Movement and the Senses. You’ll also find games, transition words, prepositions and more. A fantastic reference tool! We’ve only begun to dabble with this resource. I see us using it much more ad we get to the later portions of this program. Decorating your walls with word lists, structural models, and other hints and tips that help your children write well is really a fantastic thing to do. To be able to just look up and get ideas from your surroundings without having to pause for long is wonderful. However, as homeschooling parents who might be schooling in the dining room or living room this might not be the most practical thing to have. The Portable Walls solve this problem. This is actually a sturdy folder that unfolds into something that you can stand up on the table if you so desire. The front and back are completely filled with everything you’d like to put up on the walls. You’ll find structural models, checklists, those famous -ly adverbs, prepositions, and strong verbs. Set this out before a writing session and then tuck it away when the work is done. Very easy and very convenient. That day when I stood in the IEW booth I was making a mountain out of molehill. I had no idea that one you dive into this program that it is all laid out and not at all confusing or intimidating. It is also worth every red cent. Andrew Pudewa doesn’t just teach my children, he teaches me. I am a better teacher and my children are better writers. I value writing as a skill. Whether my children move on to college some day or find themselves working in a trade. Wherever life takes them writing well is a valuable skill. With IEW I am confident my children will become excellent writers.